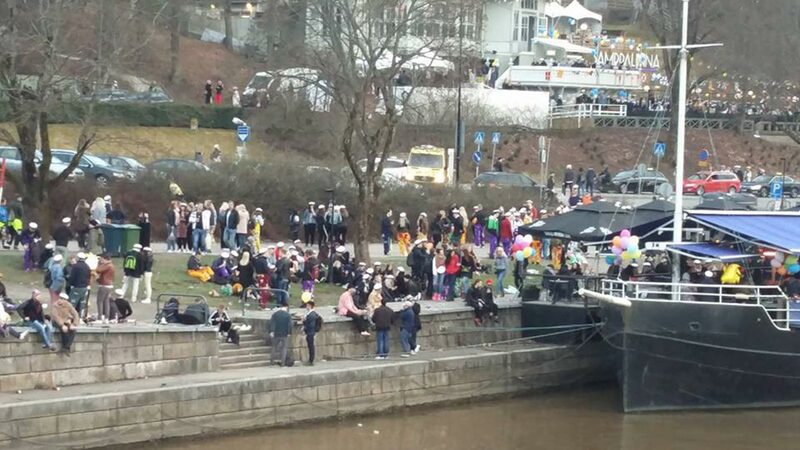 I don’t know how many of you had a chance to witness the Finnish 1st of May celebration (called “vappu”), but it is a really impressive sight. On the evening before, thousands of people stream into the streets, wearing, whatever their age, the white hat which they had got when graduating from the high school. There is a lot of socialising, accompanied, as could be expected in a Nordic country, by substantial amounts of alcohol. The following day, the actual 1st of May, the country is dotted with hundreds of blue- and white Finnish flags and, weather allowing, people have a picnic in the countryside. The traditional drink to accompany it is “sima”. 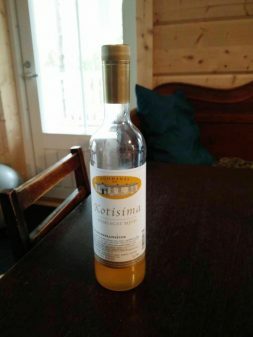 As we were sitting around the table (indoors, as the weather was not quite picnic-like) trying this delicious drink, one of us asked our Finnish host: what is the main ingredient of sima? Water, she answered without a hint of hesitation. We laughed. Of course we could expect that the light, refreshing sima consisted mainly of water, but what we wanted to know were the specific ingredients producing its pleasant taste. So we had to reformulate our question to “which ingredients give sima its distinctive taste?” and got the answer we were looking for, in this case lemons and raisins. As a sceptical scientist, I did not trust my sample with an n=1, so I repeated the same question the following day, when I was beginning my talk at the multilingualism symposium at the university of Turku. The replication was highly successful, almost the whole audience answered immediately and emphatically: “water”! As it happens, I was speaking at the university, which has recently produced one of the largest systematic reviews and meta-analyses of executive functions in bilingualism. The review by Lehtonen et al (2018) is meticulously executed, from careful selection of literature, through sophisticated statistical analysis to a thorough discussion. The authors make every effort to be objective and balanced. And yet, I cannot help the impression that the real “Sima Question” remains unanswered; unanswered because it was not asked. In two papers, both published in 2016 in the journal “Linguistic approaches to bilingualism”, I was trying to ask the Sima question of bilingualism research. Not whether there is a consistent “bilingual advantage” in cognitive functions across all studies: this would be the “water question” and the answer would have been as obvious as uninformative. Already by then it was clear that different studies produced different results and since then evidence accumulated on both sides of the barricades in the so-called “bilingualism debate”; whether a bit more on one side or the other reflects the productivity, perseverance and financial resources of different research groups more than anything related to the studied phenomena. What interested me then and now was why the results were different, whether it is possible to identify specific “ingredients” leading to certain patterns of results. A large number of interacting variables have been identified in bilingualism research, from types of bilingualism (e.g. age of acquisition, proficiency, patterns of use, linguistic environment, characteristics of the respective languages etc), through the types of cognitive tasks (e.g. verbal vs. non-verbal, auditory vs. visual, tests tapping different cognitive functions with different levels of difficulty etc) to other associated variables (such as immigrant and socio-economic status, education and even attitudes to languages and bilingualism). In clinical studies, the exact type of dementia (e.g. Alzheimer’s Disease, behavioural versus aphasic variant of Frontotemporal Dementia etc) seems also to play an important role. Lehtonen and colleagues were aware of these issues and made a sincere attempt to address them. To give just one example, one of the most debated variables in bilingualism research has been immigration and the authors examine separately studies in which “more than half, less than half or none of the bilinguals were first generation immigrants”. But can immigration be so neatly defined and dichotomised? Immigration can be associated with both positive (“healthy migrant effect”) and negative (discrimination, prejudice, integration difficulties etc) effects and both are likely to persist at least into the second generation. Also, the analysis is based on the assumption that it is the bilingual rather than the monolingual group, which is supposed to consist of immigrants. This might be correct in many places in Canada or USA, but not in countries in which large numbers of monolingual speakers migrated to predominantly bilingual regions, often within the same country (e.g. from Andalusia to Catalonia in Spain). Moreover, the effects of immigration are likely to depend on the specific socio-cultural background of the immigrants, not just their country of origin. A highly skilled computer scientist trained in an urban setting will be facing different challenges than a factory worker coming from a remote rural area even if both come from the same country. Finally, the impact of immigration is additionally modulated by the attitudes of the host country, e.g. whether the languages brought by the immigrants are considered to be a burden to get rid of or a potential treasure to build on. Similar considerations could be made about many other variables associated with bilingualism and it makes research in this area remarkably complex and difficult. However, if our goal is not just to count “positive” and “negative” results, but to genuinely understand the phenomenon in question, we need to take into account all these possible influences. To say that sima consists mainly of water is not the same as to claim that it consists only of water. What might tell us most about the differences between tea and coffee, wine and beer, whisky and vodka, might not be the percentage of water in each drink, but the specific ingredients. Likewise, trying to extract one single, common message out of all bilingualism studies might be technically correct and yet miss exactly the most important aspects which they can teach us. I hope one day I will have a chance to celebrate Vappu in Finland again, and, if I am lucky, to sip sima during a picnic in the beautiful Finnish countryside. But meanwhile, whatever problem I am approaching, I will be careful to examine whether I am asking the water or the sima question. Dr. Bak is Reader in Psychology at the University of Edinburgh, clinical research fellow in the Centre for Clinical Brain Sciences and Co-Director of Bilingualism Matters. 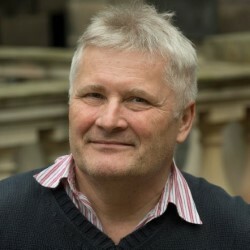 He is also the strand leader of Strand 6 (“Multilingualism, cognition, health and wellbeing”) of the AHRC Project “Multilingualism: Empowering Individuals, Transforming Societies” (MEITS). Born and raised in Poland, Dr Bak was trained in medicine and worked clinically in neurology, neurosurgery, psychiatry and psychotherapy in Germany, Switzerland and UK. Dr Bak’s main scientific interests are the relationship between brain and language and different presentations of dementia across the world. Since 2010, he is the president of the World Federation of Neurology, Research Group on Aphasia, Dementia and Cognitive Disorders (WFN RG ADCD). He has been teaching and conducting research across Europe and in Asia, South America and Africa.